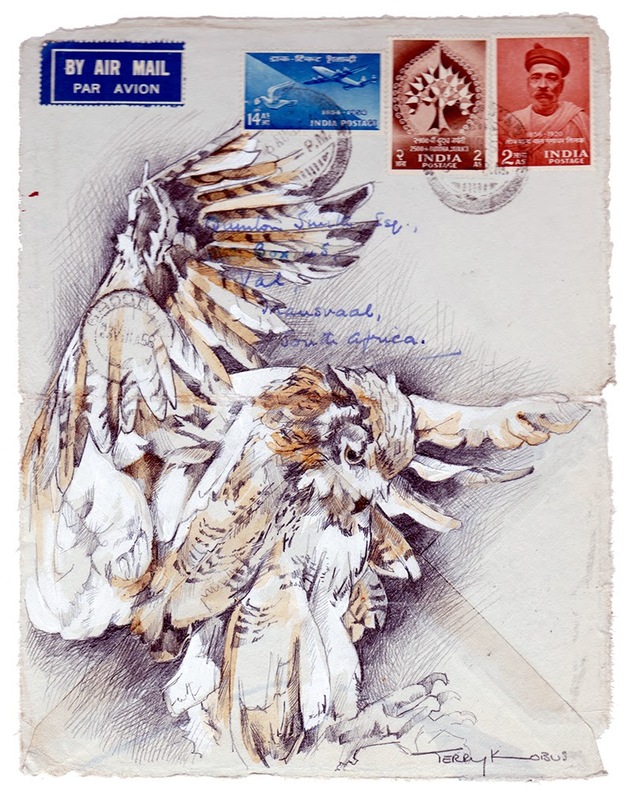 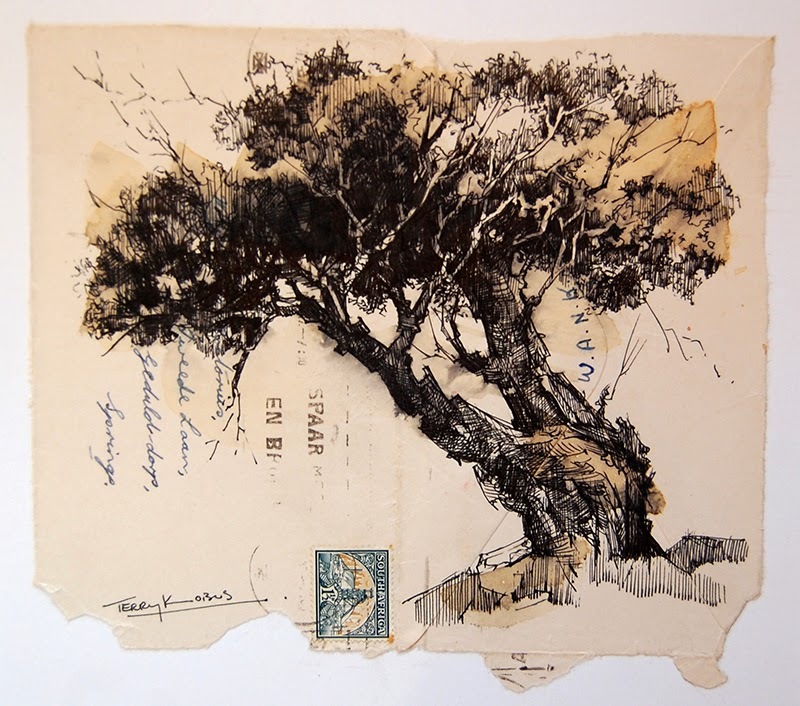 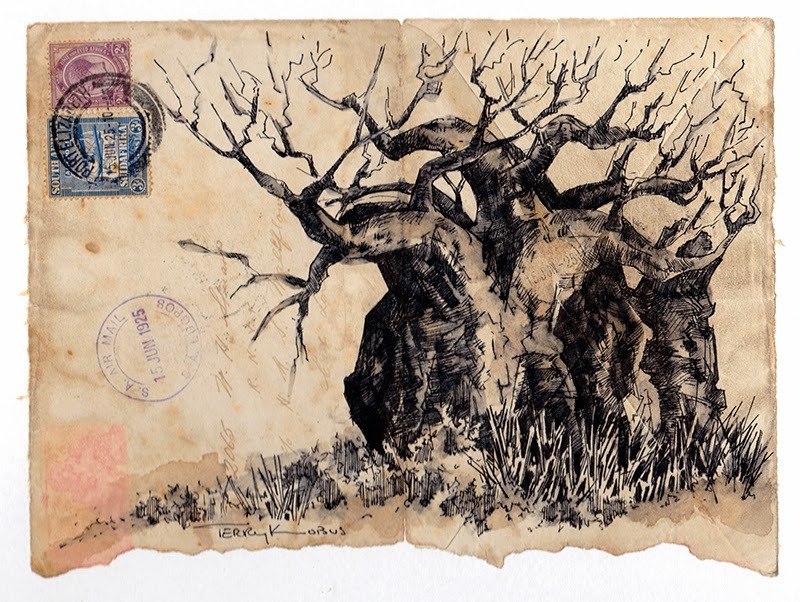 “Pushing the Envelope” celebrates the marriage of drawing and philately by Hermanus artist Terry Kobus. 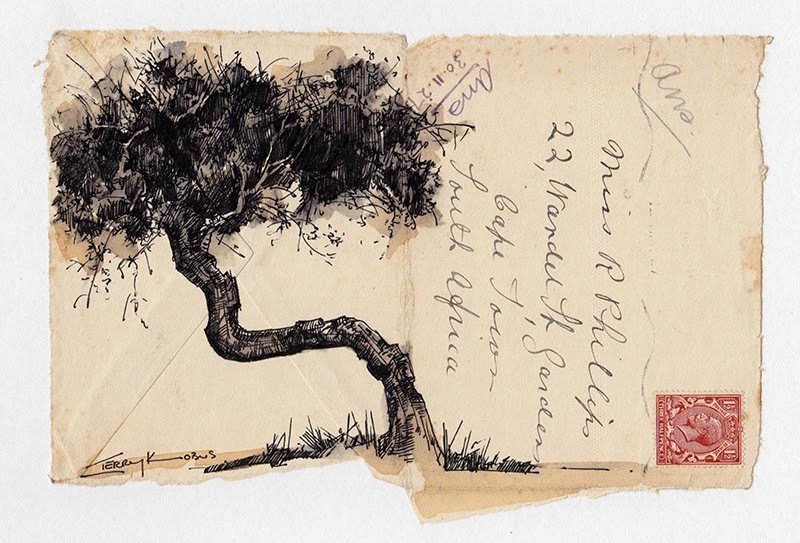 He has collected and deconstructed old envelopes, some dating from as far back as 1850. 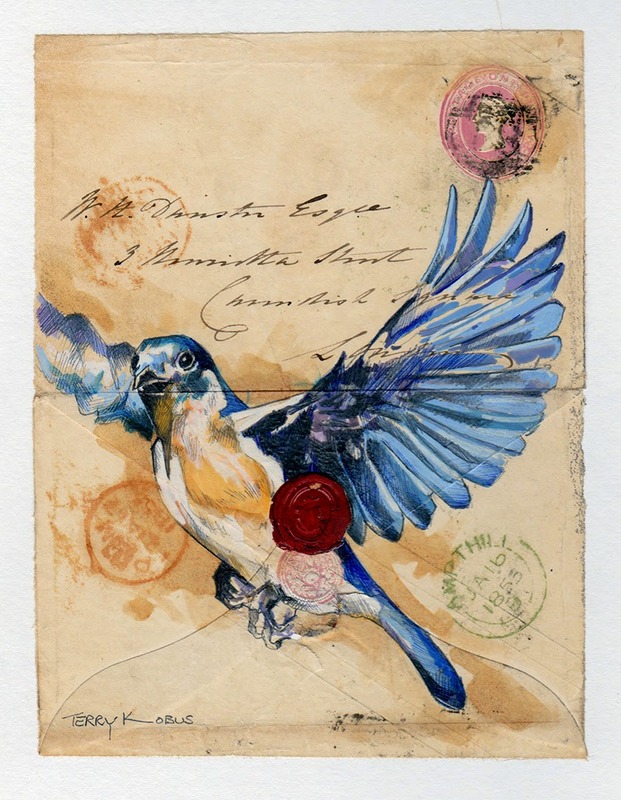 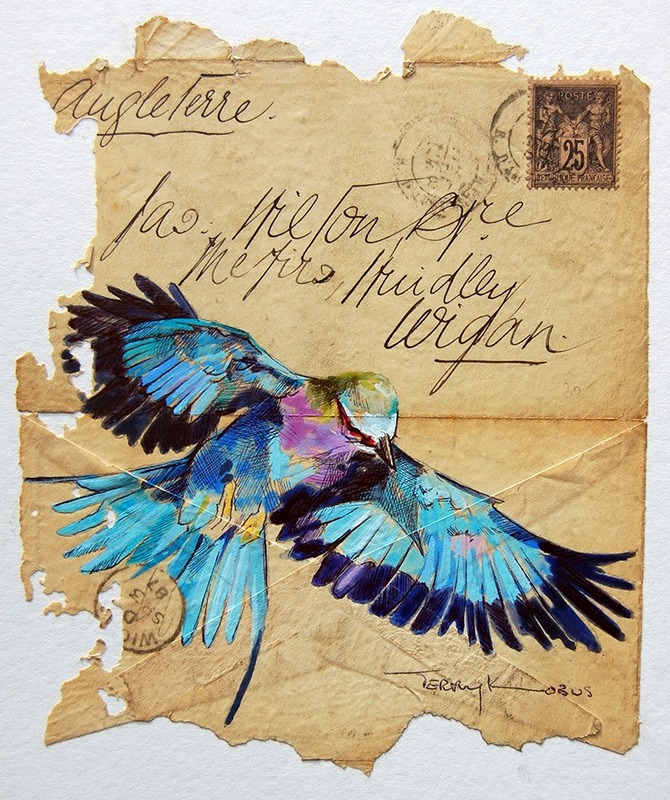 He works in various styles and media and the studies on the envelopes range from colorfully contemporary to delicately old fashioned, from whimsical to poignant and sentimental. 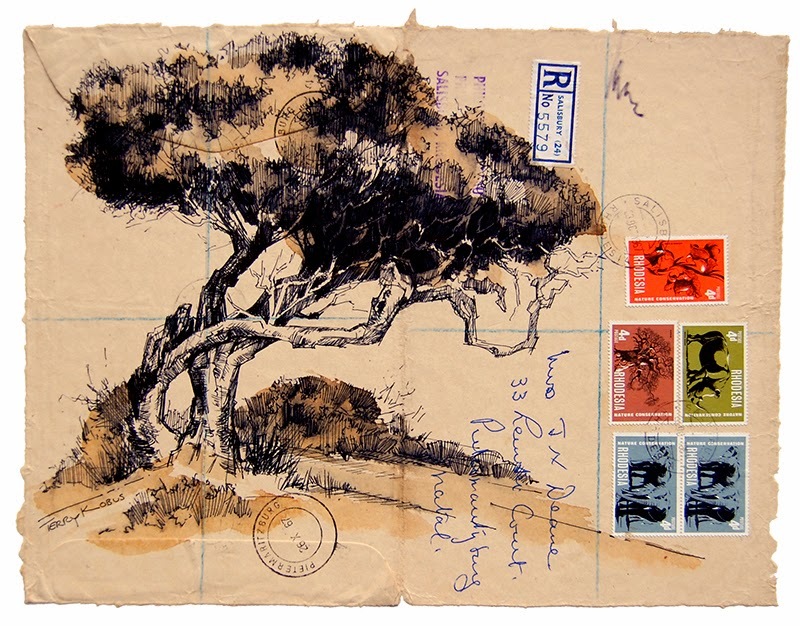 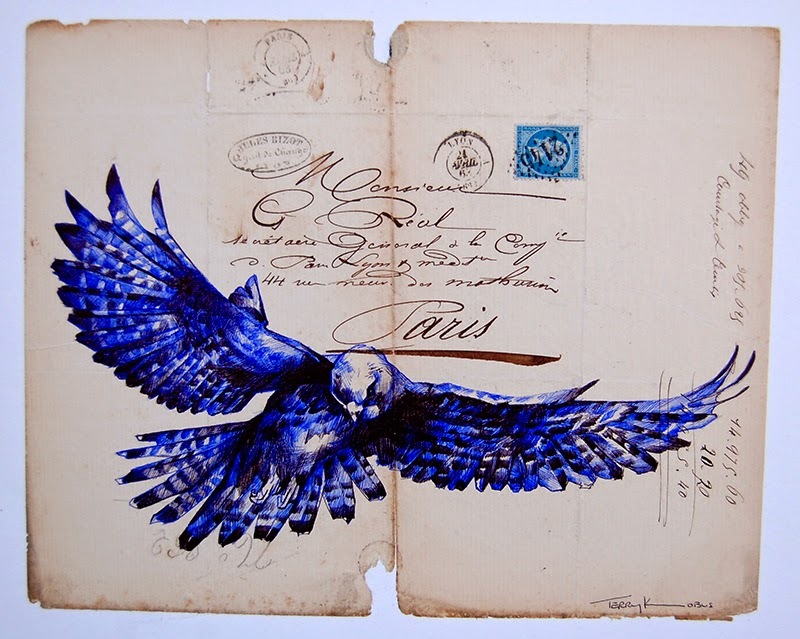 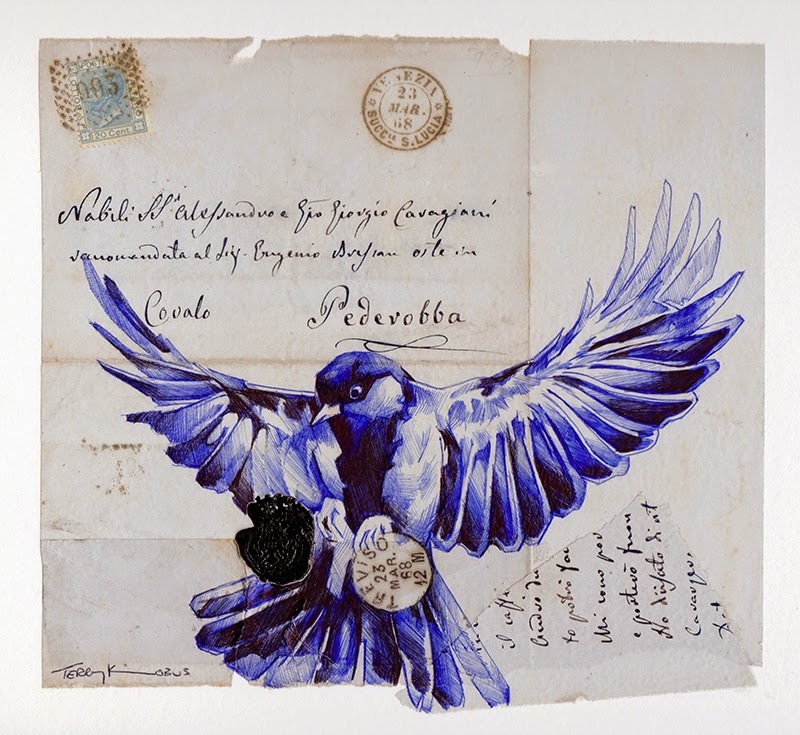 The stamp and address is often an integral aspect of the envelope's design whether incorporated directly into the illustration or used simply to accent the artist's theme.